Forrest Theater, 1114 Walnut Street Center City area of Philadelphia, Pennsylvania. 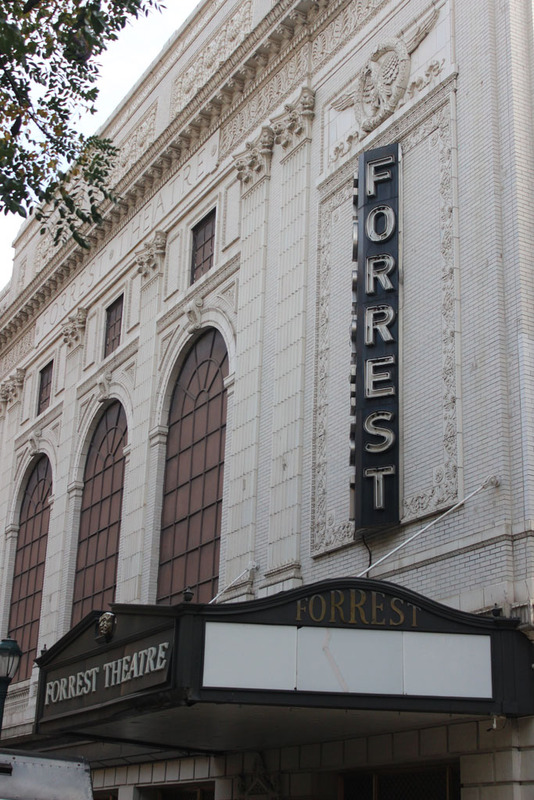 The Forrest Theater is a beautiful, classic, theater built in 1928 in the Center City area of Philadelphia. 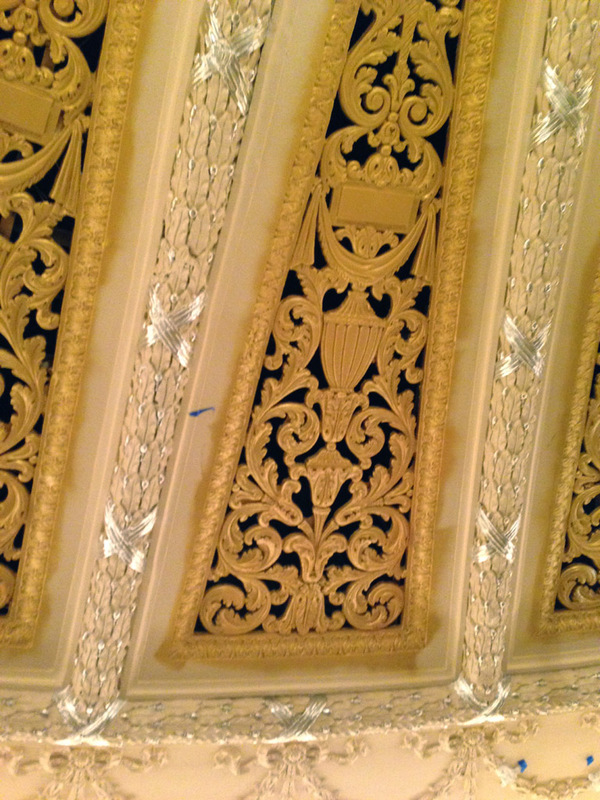 Built at a cost of $2,000,000 it was one of architect Herbert J. Krapps more elaborate theaters. 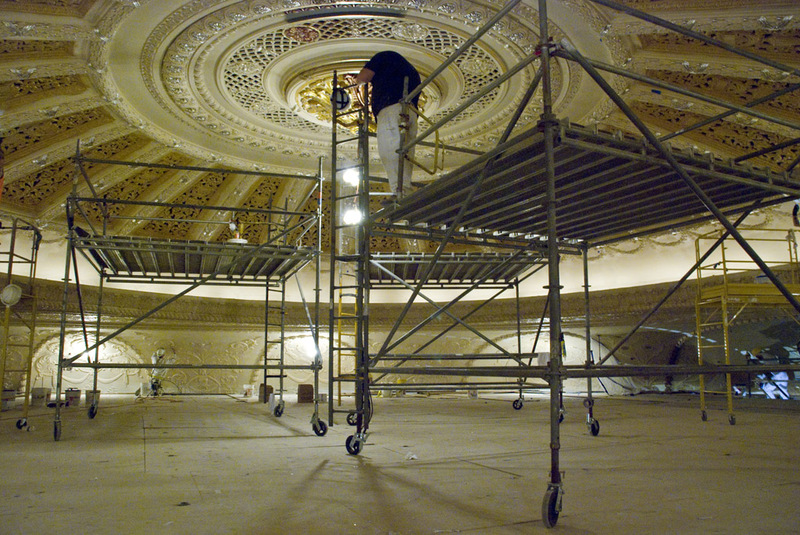 It boasted many of the conveniences now expected in modern theaters. 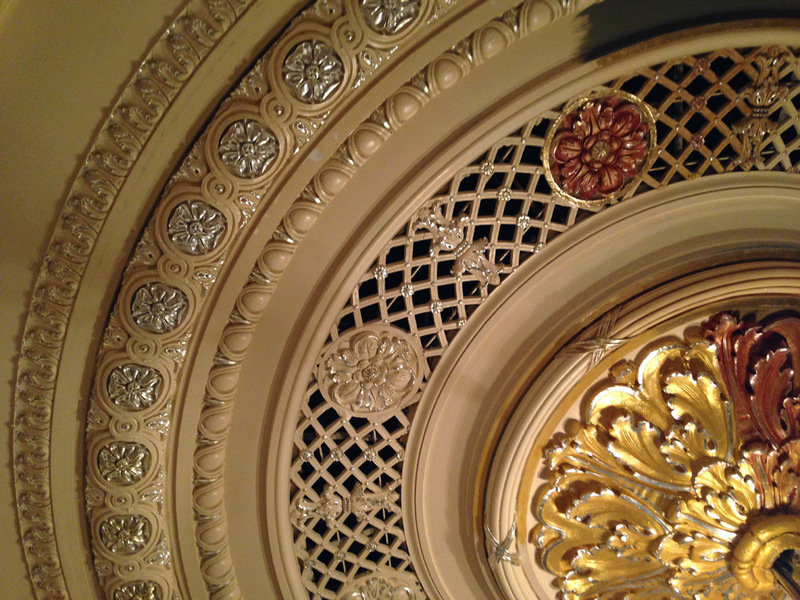 The interior is intricately decorated with gilt detailing (silver gilded with gold) and silk fabrics. 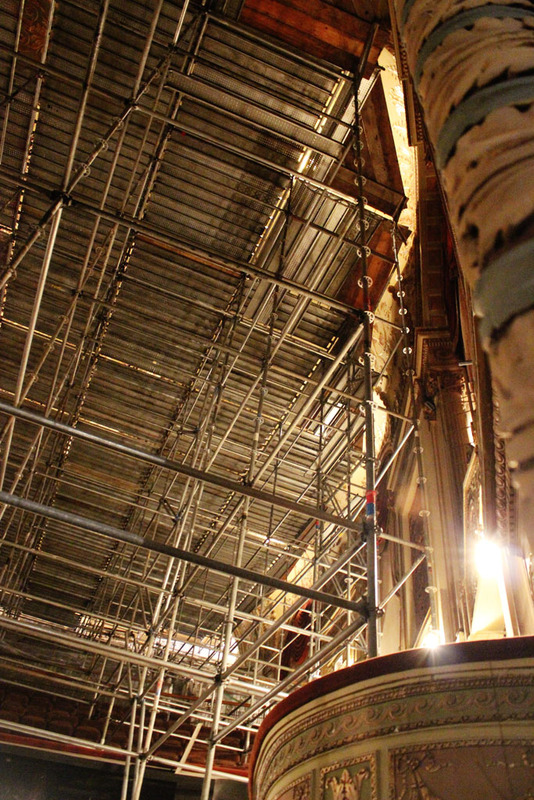 And that’s exactly why Superior Scaffold was brought in. 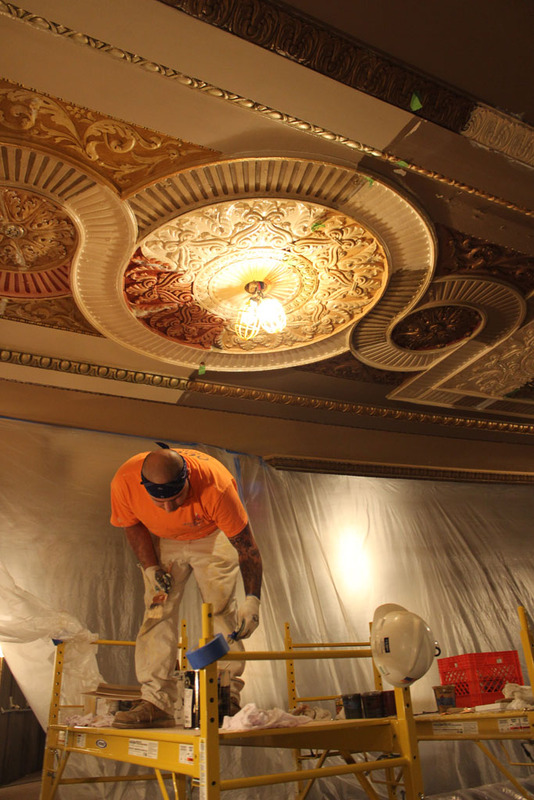 We provided the painting and restoration crews access to the entire perimeter of the theater including the walls, ceiling and all surfaces. 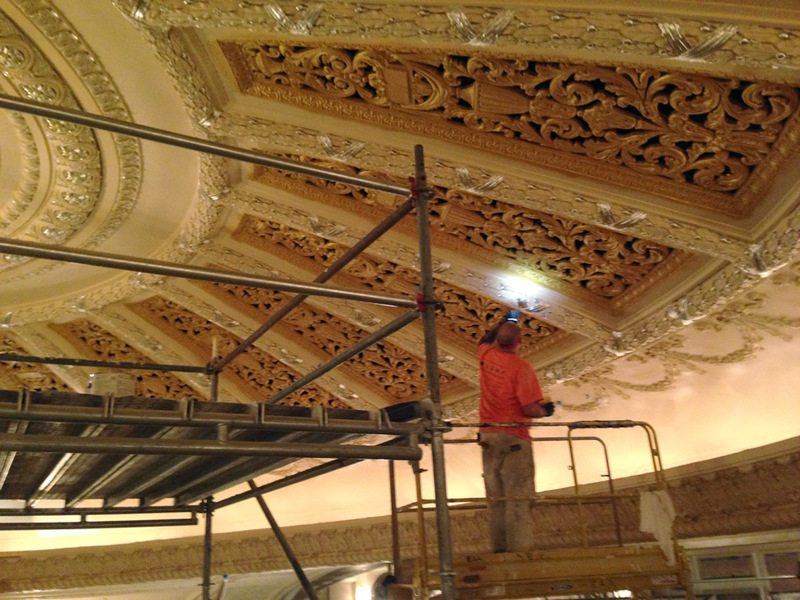 Crews needed to paint and re-gild the highly detailed, multicolored embellishments and areas that had faded over time. 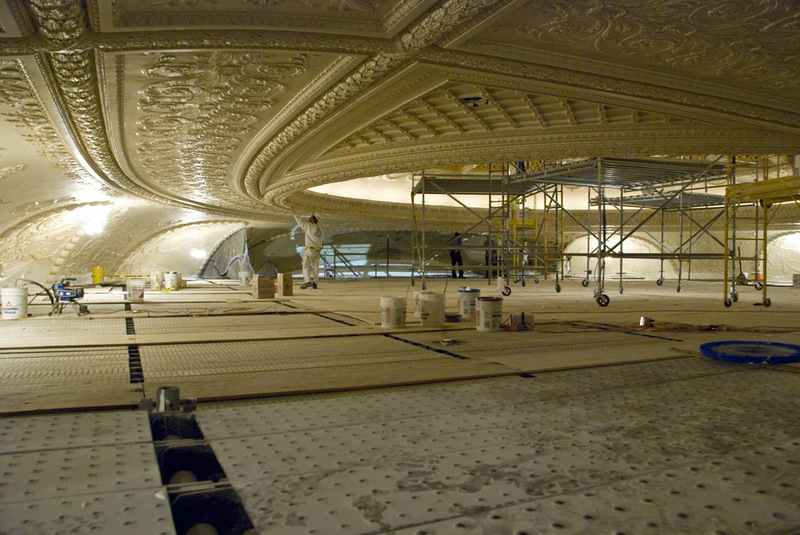 It might look great now but our scaffold crew had some huge challenges to get this built. The first big challenge was dealing with all of the theater chairs. 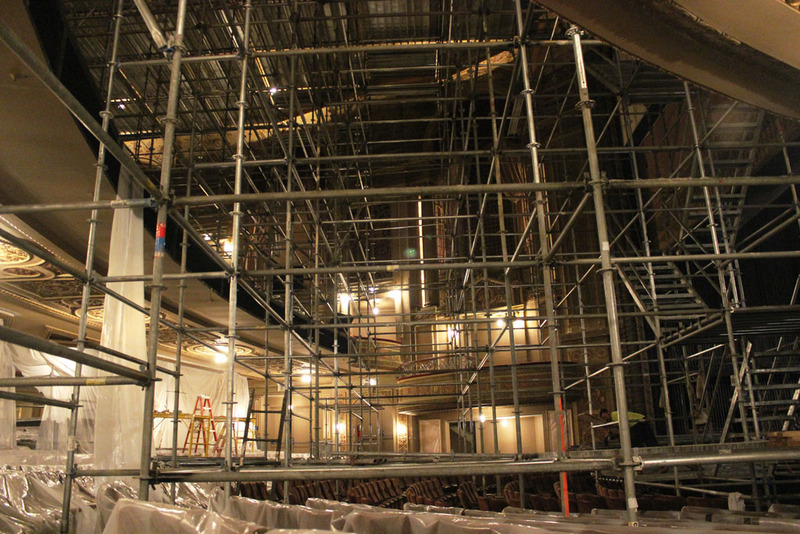 Imagine having to strategically place each of your scaffold legs in between or around the chairs and then build upwards five stories. It’s quite the maze the team had to think around while laying it out. The second was that they had to lay the scaffold out on a radius and as you know we are dealing with straight lines and rectangles. 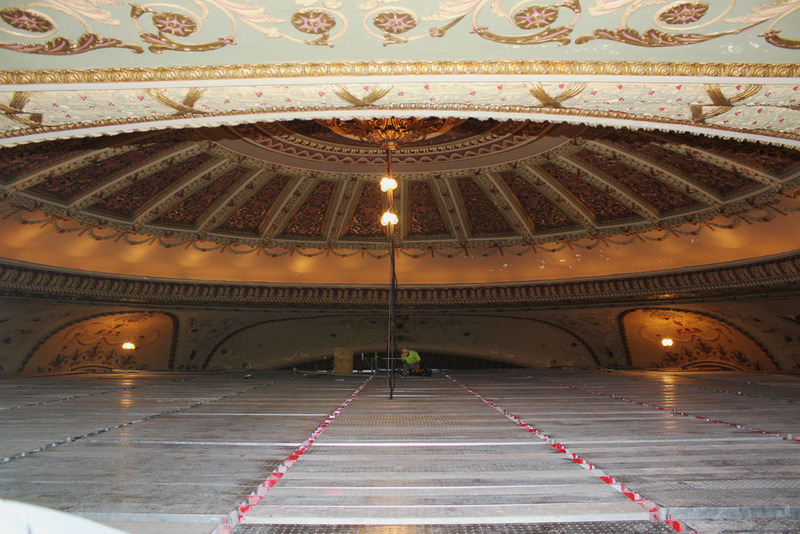 The third challenge was the fact that the theater is on an incline, sloping up and away from the stage. So everything had to be leveled out so the work platform up top was perfectly level. 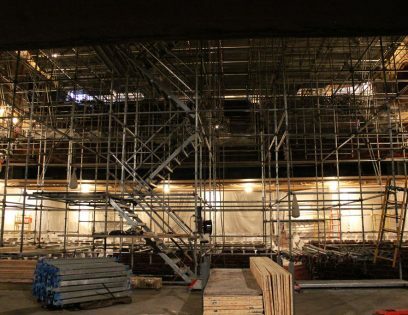 And the fourth was that the scaffold had to continue and seamlessly connect up to the lower and upper mezzanine levels. So not only did our team have to build around the maze of chairs and curves but they also had to balance out the difference in elevation and continue it into the balcony so that the dance floor at the top would be level. Great job guys! 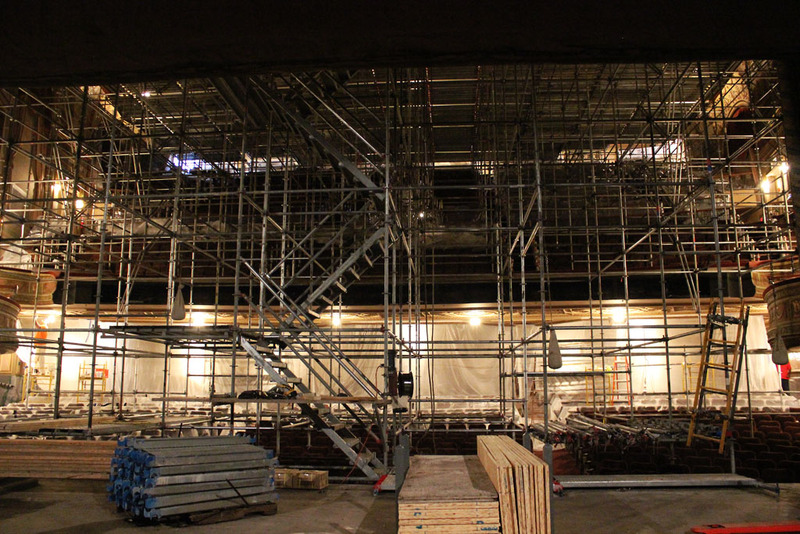 The giant scaffold that we erected in the main part of the theater consists of system scaffold, 2 and 3 foot outriggers, trusses, steel plank, a stair tower for access and a rope and wheel to hoist material. 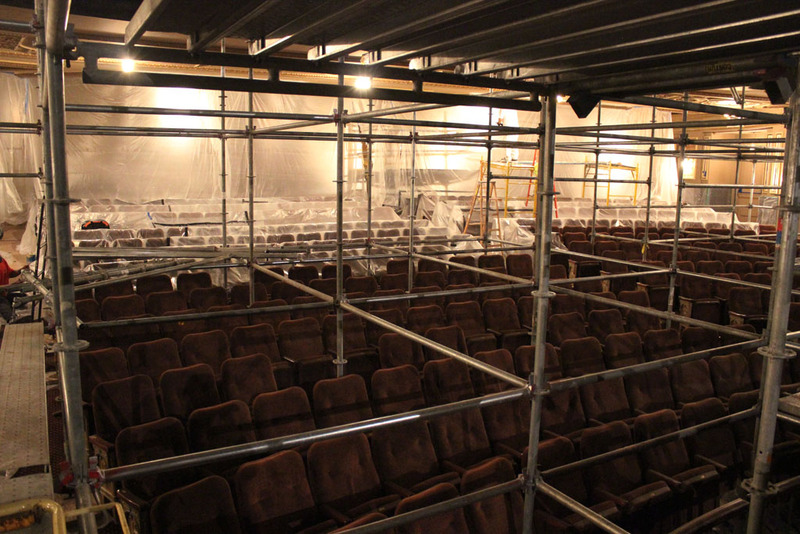 The elevation is 4’ in the rear and 54’ high in the front of the theater. 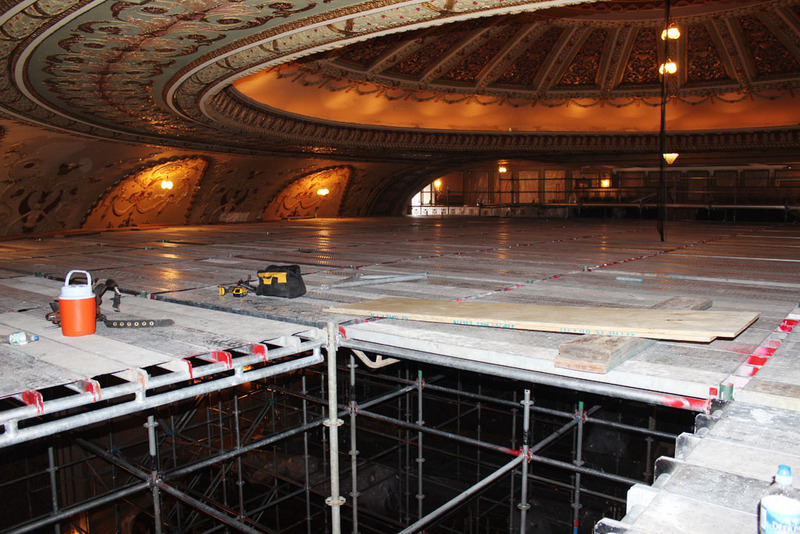 It’s 42’ wide across the front of the stage and 92’ wide at the rear. 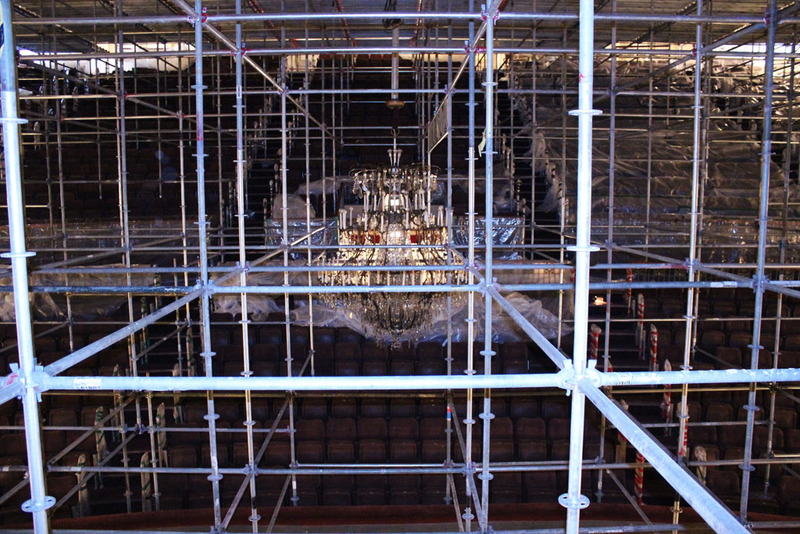 It was mostly to build this large work platform for the crew to reach the dome. 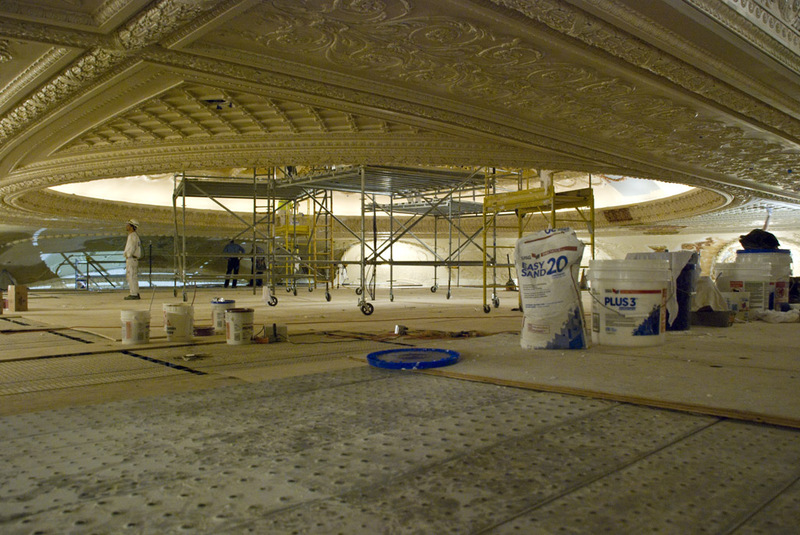 This dance floor consisted of skip plank and plywood and we also gave the crew rolling towers to reach the highest elevation of the ceiling. 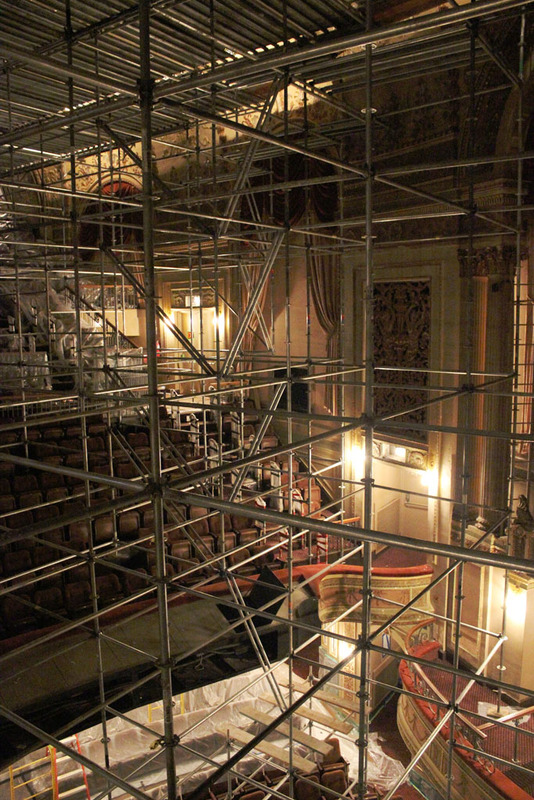 If you need access or scaffoldng like you see here, call Pat at (215) 743-2200. He will take care of you.